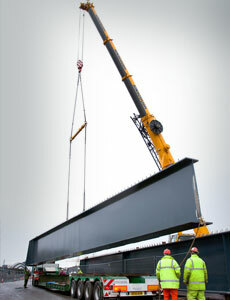 Riley’s Crane Hire are crane hire specialists operating a 24 hour service across Somerset and surrounding counties. We offer services across Frome, Salisbury, Bristol, Taunton, Yeovil, Bath, Chippenham, Weston Super Mare, Bridgwater, Dorchester and Shepton Mallet. Over the years we have gained an excellent reputation for our continuing dedication to deliver honest, efficient and reliable crane hire services. With fully qualified CPCS staff, we also provide a contract lift service. This particular service alleviates the customer of the responsibility of preparing the method statement and risk assessments, as well as managing and supervising the lifting operation. In short, the liability of a safe and successful lift lies with us. For further information on how to hire a crane, please click here.